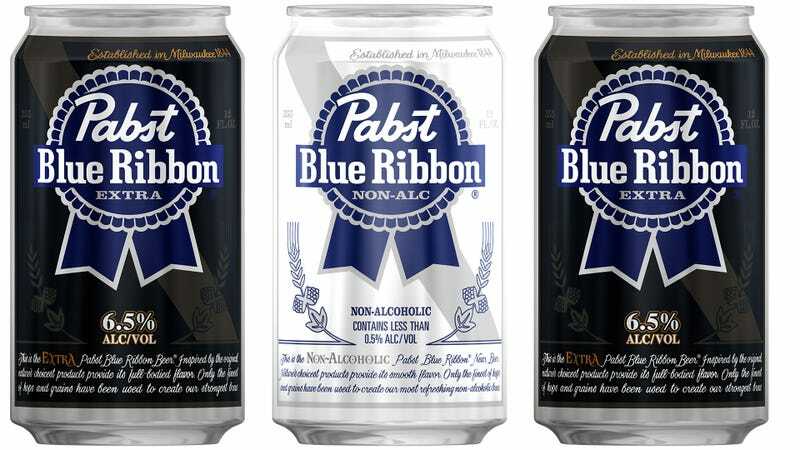 Following up its announcement of the first-ever PBR whiskey, Pabst Blue Ribbon says it’s launched two new PBR-branded beers. One is PBR Non-Alcoholic, which—given my experience with mass-market non-alcoholic beers—doesn’t quite pique my interest. The other is PBR Extra, a higher-ABV (6.5 percent) version of PBR (regularly 4.7 percent) that’s “a light, crisp higher-ABV alternative to heavy drinking beers.” My read: It’s PBR that gets you drunk faster. Both began rolling out to stores at the end of March. What’s interesting to me about these two new products—as well as low-calorie PBR Easy, which debuted last year—is they indicate breweries increasingly understand consumers want different types of beers for different occasions. Decades ago, Americans might have stocked their refrigerators with six-packs of the same beer every week. Now, customers want something easier-drinking for daytime, then something a little stronger for a party situation, and perhaps even a non-alcoholic option once in a while. Also, whiskey. If you’ve picked either of these new PBRs up from your local store, please share your thoughts and detailed tasting notes.